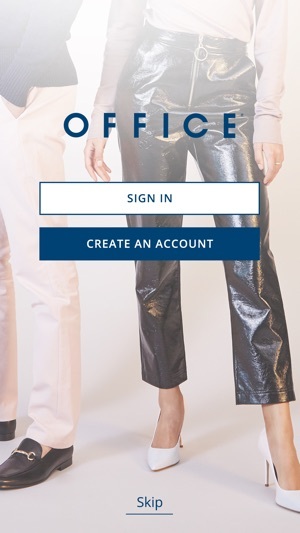 The new and improved OFFICE app gives you another way to access our incredible range of shoes and trainers. 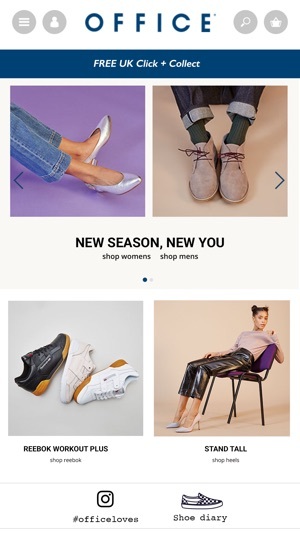 Whether you are looking for this season's must-have trainers, a pair of killer heels or a classic brogue we have something for you and the app offers a simple and clear way to search the entire OFFICE catalogue. 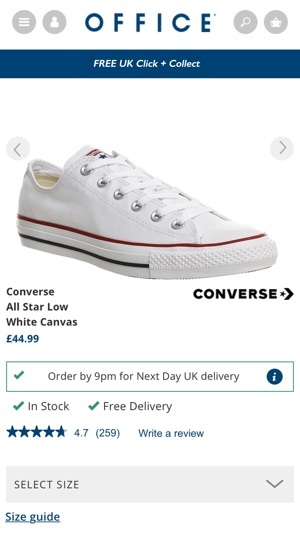 You can browse the full product range directly from the app, be it the latest trainer releases from Converse, adidas or Nike or beautiful OFFICE branded heels, boots, smart shoes or sandals. If you find something you like you can either place an order right away or find your nearest store and go try them on; our store experts will be happy to help you and give you advice on the latest shoe trends. 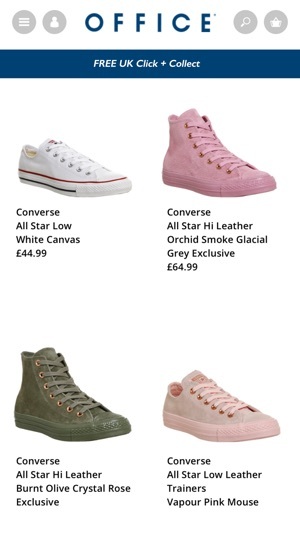 If you have a promotion code or student discount you can use these on app. We also offer a variety of payment options, including PayPal, and you can select to have the product delivered to your home or collect from a store or local pickup location using Collect+. Last but not least, to get the most out of the app, remember to sign up for Push. We won't send you messages all the time but we will be sending out selected information on key releases and promotions; so if you want to be the first to know and at the front of the queue, you need to ensure Push is enabled. 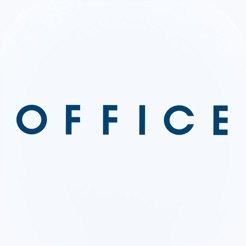 Shopping for shoes has never been this easy now we have added in store stock lookup and the ability to pay in multiple currencies to the latest version of the OFFICE app. Don't forget to check the option to receive alerts so you will be first to hear when the hottest new products or offers launch and get App specific offers like Free UK Delivery on all orders including Sale, seasonal discounts and money off promotions. The app homepage will update with the latest offers and we will send you a push message to remind you to check back when we launch a new offer. This so is very slow, and takes a long time to load any tab, item and/or the home page. It also doesn't have an app feel to it. It still feels like I am using the website. But at least it's not footlocker, the footlocker app is just a link to their website. The app is sluggish and clunky. However, that is the very least of Office’s problems. They recently too six days to tell me my order couldn’t be fulfilled the very day before I needed the items. Their customer service is appalling, no calls or replies to my email, no voucher to placate a furious repeat customer, nothing. I could never, in good conscience, recommend this bunch to anyone other than a mortal enemy. Avoid at all costs! I saw the screenshots on the app description and expected the app to look like that. When I opened it, it is literally a carbon copy of what is on the website. What is the point of even having an app and encouraging people to download it if you are just going to stick a wrapper around the website and show the same thing? Frustrating and pointless.